Heart Disease is any disease that affects the function of the heart or the blood vessels of the heart. This includes heart attacks, angina, heart valve disease and strokes. 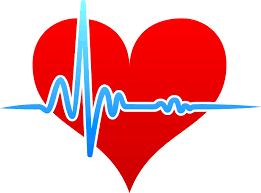 Heart Disease is the leading cause of death worldwide according to the World Health Organization. Angina is chest pain, pressure, heaviness or tightness that is caused by a reduction in the blood flow to the heart muscle. This reduction is caused by a narrowing of the blood vessels of the heart. This narrowing is caused by atherosclerosis – a plaque that forms inside the walls of the blood vessels. Heart attacks are caused when the blood vessels become completely blocked and blood flow is stopped. Heart valve disease is a disease of any of the valves of the heart. The heart has 4 valves. Some valve diseases include stenosis (does not open properly) or regurgitation (leaky valve). In extreme cases valves may need to be replaced. Strokes are caused by a blockage of blood flow in the blood vessels of the brain. These blockages are caused by the same plaque build up that causes heart attacks. In both heart attacks and strokes blockages can also be caused by a blood clot. Some irregular heart rhythms, medications or other heart disease risk factors can cause blood clots. Risk factors of heart disease include but are not limited to: high blood pressure, high cholesterol, diabetes, smoking history, diet, sedentary lifestyle and obesity. All factors that can be changed with lifestyle changes and medications. Certain risk factors can not be changed including age, gender and family history. It is very important to avoid the risks we have control over. Prevention is the best option we have in avoiding heart disease. Taking control of our health is the first step. 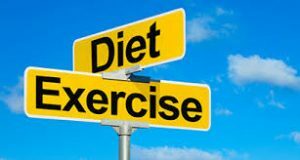 Making healthier choices in our diets and getting regular exercise can not only help prevent heart disease but can also help prevent several other health issues. Quitting smoking is vital in maintaining a healthy lifestyle. Smoking damages the walls of blood vessels dramatically increasing risk of heart attack and strokes. Knowing your numbers is vital in good health. Knowing your blood pressure and keeping it controlled is very important. Knowing your cholesterol numbers is also very important. Cholesterol is monitored by blood tests. Taking your medications – if you have high blood pressure, high cholesterol or diabetes it is important that you take your medications as prescribed by your physician. These medications help keep these conditions controlled. Be active in your healthcare – if you have any of the above conditions it is vital that you be apart of your healthcare. Monitor your numbers (BP, blood sugar, etc) and keep your doctor informed if there are any changes. Ask any questions to help better understand your overall health and to help understand what steps you can take to maintain a healthy lifestyle. If you have any questions or concerns about heart disease, it’s risks or any preventative steps please contact your physician. You should always speak to your physician before starting any new exercise program.